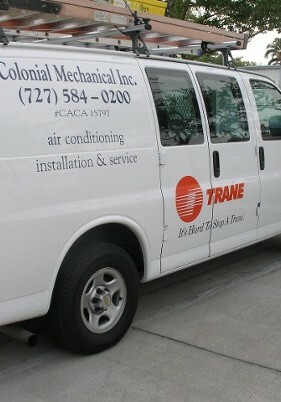 Colonial Mechanical, Inc. is the number one stop for all of your heating and cooling needs. Conveniently located in the heart of Pinellas County, Florida. We specialize in providing our services to the residential and commercial industries within Pinellas and the surrounding counties. Our willingness to satisfy our customers and provide superior customer service keeps us steps ahead of our competitors. We are knowledgeable, experienced and available to meet your heating and air conditioning needs. Please call us today! Colonial Mechanical, Inc. offers quality work at lower prices! We can be reached at 727-584-0200 for your free estimate and, while you're at it, ask about our maintenance discounts!